Obituary for Irene Parker | Boal Funeral Home, P.A. Irene Olive Parker, 76, went to be with the Lord on Thursday, March 21, 2019 at Allegany Health Nursing and Rehabilitation Center, Cumberland. 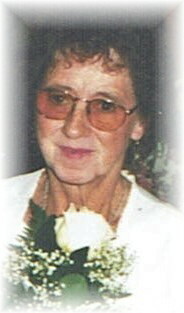 Born July 4, 1942 in Swanton, MD, she was the daughter of the late Josie Teets and Emma (Lantz) Teets. She was also preceded in death by her husband Allen J. Parker Sr., sisters Ellen Winkler and Alma Chittem; and brother Harold Teets. Irene is survived by her sons, Rick Parker and wife Raelynn of Cresaptown, MD, and Allen Parker and wife Leeann of Frostburg, MD; and daughter Emogene Douglass and husband Karl of Westernport, MD. She is also survived by her sisters Joanne Whetzel and husband Dyer of Keyser, WV, and Lillian Lechliter and husband Joe of Moorefield, WV; and brother John Teets and wife Debbie of Richlands, VA. Irene also had numerous grandchildren, great-grandchildren, nieces and nephews. There will be no public viewings or services. Boal Funeral Home assisted with arrangements.